In the crowded landscape of video calling and video conferencing apps, it's hard to win on features alone. But if you give consumers desktop-quality video on a mobile device, you can change the user-experience game in your favor. ooVoo develops and sells a video conferencing service that connects remote offices, colleagues, teams, clients and family members over the Web. It first made its name in the desktop world, supporting video conferences with up to six participants at a time. Computing and video resources are less plentiful on mobile devices than on the desktop. Because they work in real time, video conferencing and video chat applications cannot store the stream in memory and play it as system resources permit, the way most media players can. ooVoo encodes and decodes on the fly, which is very compute-intensive work. Most applications perform this work in software on the CPU, which results in lower performance, shorter battery life and poor video conferencing. It also consumes resources (cycles, memory, power) that the phone could use for other functions. ooVoo saw that its best chance of delivering a high-quality, mobile user experience and differentiating itself from its competitors was through hardware accelerated video processing: offloading the work of encoding and decoding from software running on the CPU to dedicated video hardware. The company found what it needed in Qualcomm's Snapdragon MSM8x55 chipset, built for video encoding/decoding in dedicated hardware. Developing on a Snapdragon MSM8x55 Mobile Development Platform (MDP), ooVoo engineers designed their Android™ application for the hardware-accelerated video processing it needed to handle high-resolution, live conferencing and chat, for up to six participants at once. The MDP includes a 1GHz Snapdragon-powered device, debugging tools and the Trepn™ Profiler, a tool which can help make Android applications more power-aware. It supports the most efficient video codecs while freeing up the CPU and economizing power consumption. 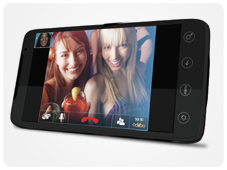 ooVoo appeared in the Qualcomm booth at the Consumer Electronics Show in January 2011. 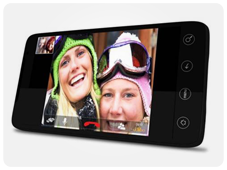 The company demonstrated the first multi-party, VGA mobile video chat application on a pre-commercial Android smartphone device, with 4 times the resolution of its nearest competitor. ooVoo also placed among the top ten finalists at the CES Mobile Apps Showdown, finishing second with 44,258 online votes and standing out as the only video calling firm named a finalist. With video acceleration under its belt, ooVoo looked for yet another way of enhancing the user experience to keep ahead of its competitors: high-definition, multipoint video chat. Their engineers used the hardware-accelerated H.264 video encoding in the MSM8x55 and implemented 720p HD video on the MDP. 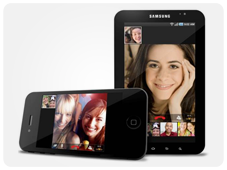 ooVoo's updated mobile video chat application running on the Snapdragon MDP now offers 12 times the resolution of its competitors, leapfrogging even its own VGA version. ooVoo also demonstrates that the device uses about 50% less battery power and consumes about 50% fewer CPU cycles compared to processing video in software. "The combination of ooVoo's innovation in mobile video chat software, integrated with Qualcomm's differentiated hardware, will elevate the mobile video experience to levels that have not been achieved by other services." ooVoo’s technology enables more than 22 million consumers and businesses to experience real-time video calls on PCs, Macintoshes and mobile devices.